Dióspuszta was founded in 1912 by Sándor Jaross. In horseracing Sándor Jaross was mostly famous for betting with large sums of money, but due to a big debt he was forced to sell his stud in Lesvár, which was purchased by Baron Gustav Springer, and was raised to a major stud farm of the Hungarian thoroughbred breeding. 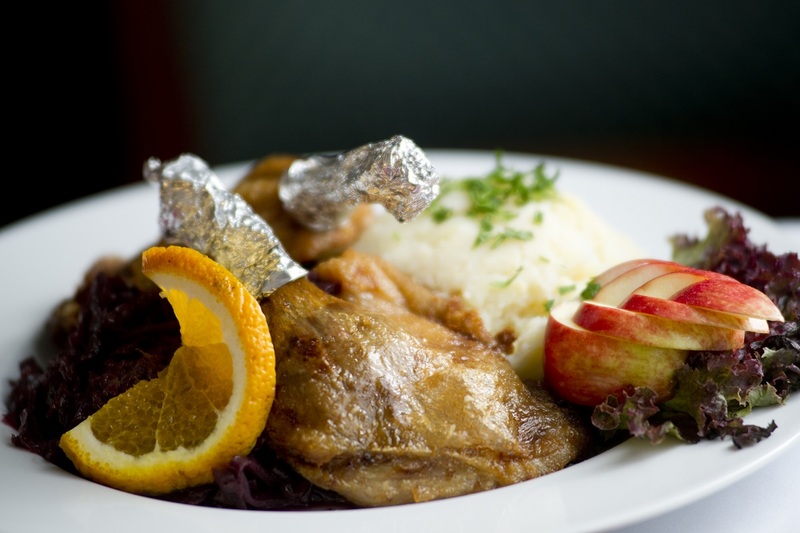 Therefore it was evident that Dióspuszta was founded primarily with a well-designed business interest. The goal was to establish an economically feasible boarding stud and to breed for auctions. 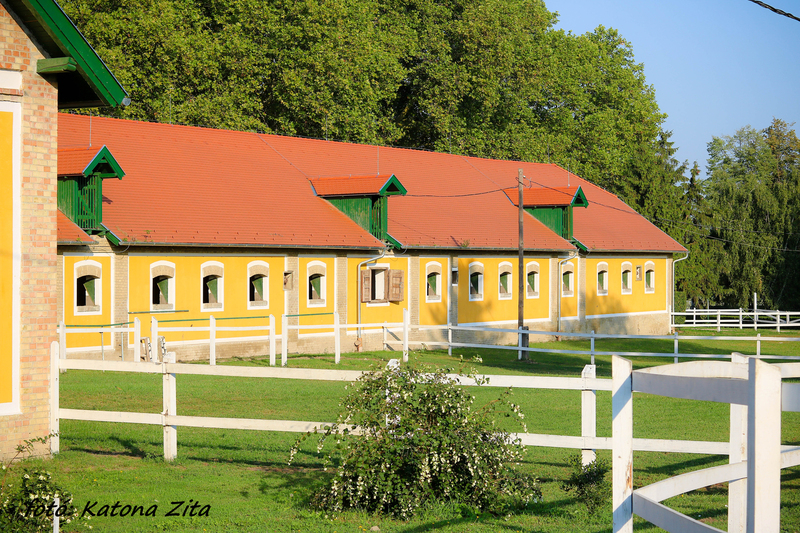 At that time the racehorse training center in Tata, built by Miklós Esterházy, was still in operation. 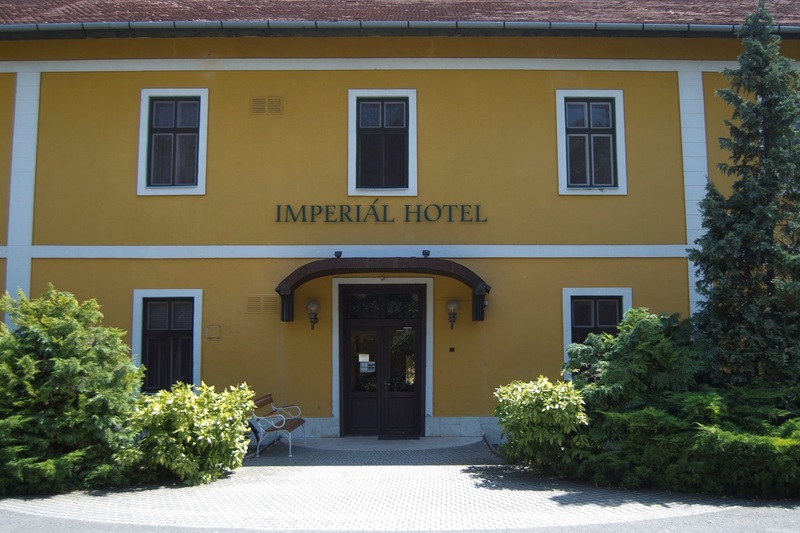 Dióspuszta was located near Tata, beside the road linking Vienna to Budapest, and the Kisbér National Stud was also close, where prominent thoroughbred stallions were standing at stud for private breeders. The mares in heat were ridden to Kisbér to the stallions. Dióspuszta, which was part of the former Esterházy property, was not only an excellent stud for these, but also because the area situated 4 kms from the town of Tata, 195 m above sea level has slightly sloping, hilly, highly calcic, loess soil mixed with sand, the hard and calcic water is great for raising horses, and the training on the hilly surface forms the foals to be athletic and competitive. The first stallion of the stud was Falb (bay, born in 1898., sire: Matchbox, dam: Phantasie) who was taken from Lesvár by Sándor Jaross. The first world war interrupted the development of the stud, since it became the property of the Italian – Hungarian Bank. Later from 1920 the stud belonged to Béla Halász. The constructions began in 1918. The first broodmare stable with 32 boxes, the stallion stable with 4 boxes and two separate open stable for foals were built at this time. Béla Halász, who was an expert of the thoroughbred, built the second broodmare stable with 32 boxes and a quarantine stable. Baron Alfons Rothschild kept his horses – one stallion (Sanskrit, chestnut, born in 1913., sire: St. Frusquin, dam: La Sage) and 25 mares – in Oroszvár until 1921. He moved all of them to Dióspuszta, and achieved remarkable results at the Vienna and Budapest racing circuits with his horses raised on the Hungarian soil. 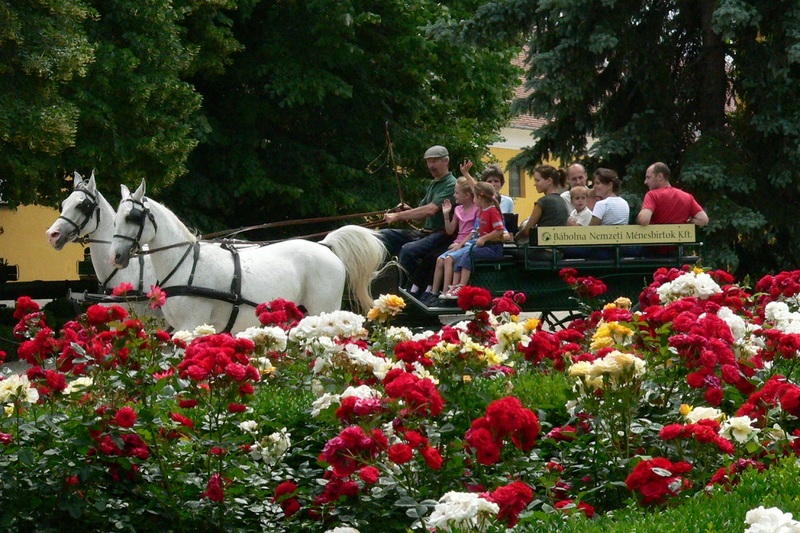 Béla Halász set up the Hungarian Horse Breeding Corporation with excellent business sense. The own stock of the stud was 3 stallions and 32 mares, the boarding stock was 5 stallions and 50 mares. The state-owned Rascal (bay stallion, born in 1907., sire: Raeburn, dam: Kikelet), and the stallions of the company, Bony (bay stallion, born in 1909., sire: Bona Vista, dam: Fancy) and Öreglak (bay stallion, born in 1912., sire: Macdonald II, dam: Crested Grebe) were standing here at stud. 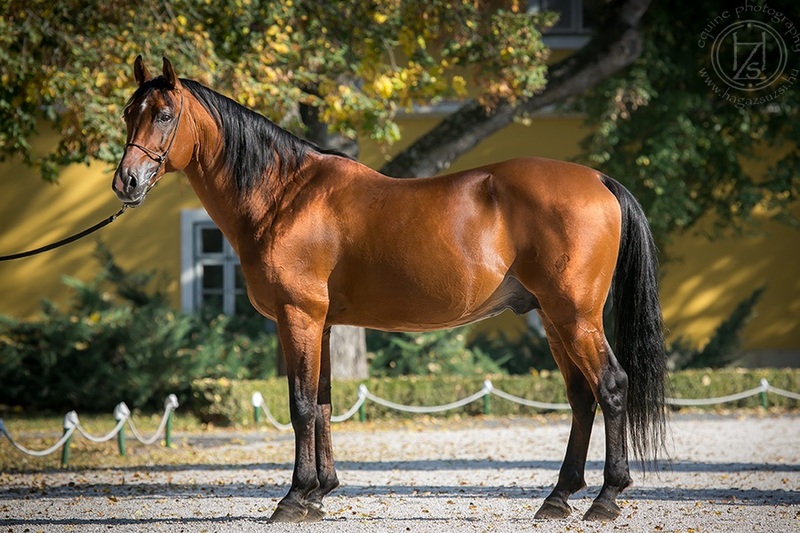 The breeding stock of the stud was always picked up by Béla Halász with exceptional niveau and outstanding expertise, since he was breeding for auction. They always bought imported mares besides the proven national female lines. Among the Hungarian families it is worth to mention the Kincsem-blooded Kitáblázás, whose daughter, Pistike saved the blood of Kincsem after the second world war. Tempo (dam: Remény) was by Tamar, an imported stallion from the stud of Lord Astor. He was born in Dióspuszta in 1929, and won the first Hungarian Derby in 1932 for the stud. The stud won the Austrian Derby in 1937 with the chestnut colt Rüdiger (born in 1934., sire: Sanskrit, dam: Ráróm). Botond (chestnut colt, born in 1939., sire: The Black Abbot, dam: Paradian), imported in his dam, won the Hungarian Derby for the stud in 1942, and later stood as a stallion in Dióspuszta. In 1943 another racehorse raised in Dióspuszta, Raphael (bay colt, born in 1941., sire: Balbinus, dam: Rang) won the Hungarian Derby. Raphael was standing at stud in the Russian Voskhod, were he also proved to be a successor. 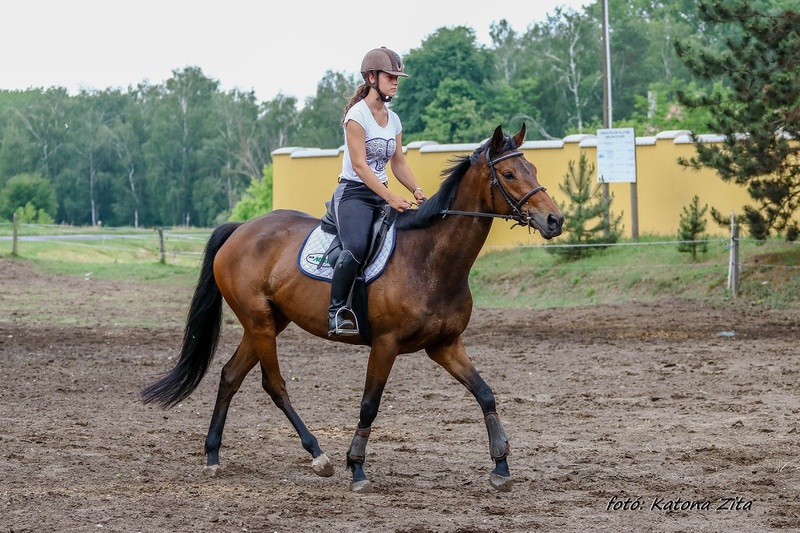 With the help of Ferenc Laky, the blood of Raphael was restored in Dióspuszta with the imported Regény (bay filly, born in 1962., sire: Garnír, dam: Réka) from Voskhod. After it was found that the stud in Nagyalag was not suitable to raise thoroughbreds without enough land, the found, returned and imported stock was placed in Dióspuszta. The natural conditions of the stud were still excellent. Sultan Mahomed, who returned from the west, Bánk and later Intermezzo II, who was found as a yearling, were standing here at stud. 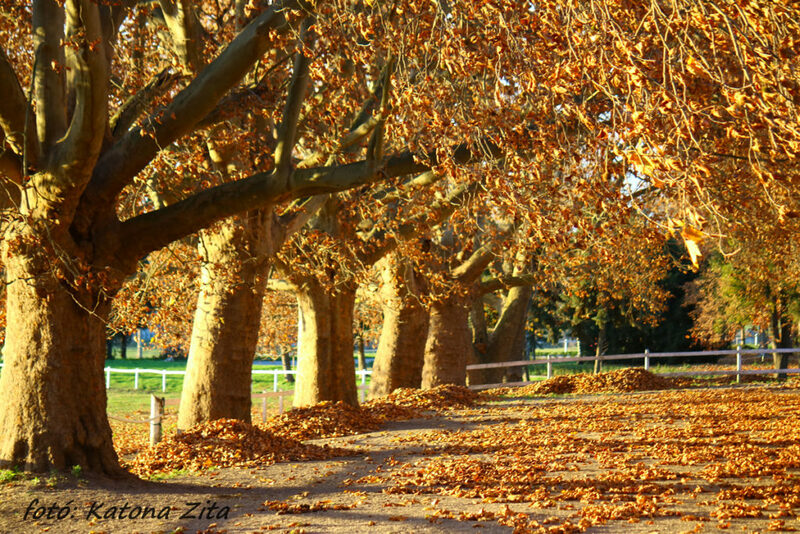 In the autumn of 1947 the stud became the property of the state, first the Army and then the Ministry of Agriculture took over the leadership. Sándor Babochay and then Károly Adamovich were the head of the stud. In 1950 again Sándor Babochay was entrusted with the stud management, but there was a suspicion of sabotage behind the miscarriages among the mares, which were collected from various places in 1952, so the State Protection Authority removed Sándor Babochay, and Jenő Kertész was appointed as the head of the stud. The first Hungarian bred Derby-winner after the world war was born in Dióspuszta, Szaladin (bay colt, born in 1948., sire: Sultan Mahomed, dam: Brouette) won the blue ribbon in 1951. In 1954 Rubint (bay colt, born in 1951. 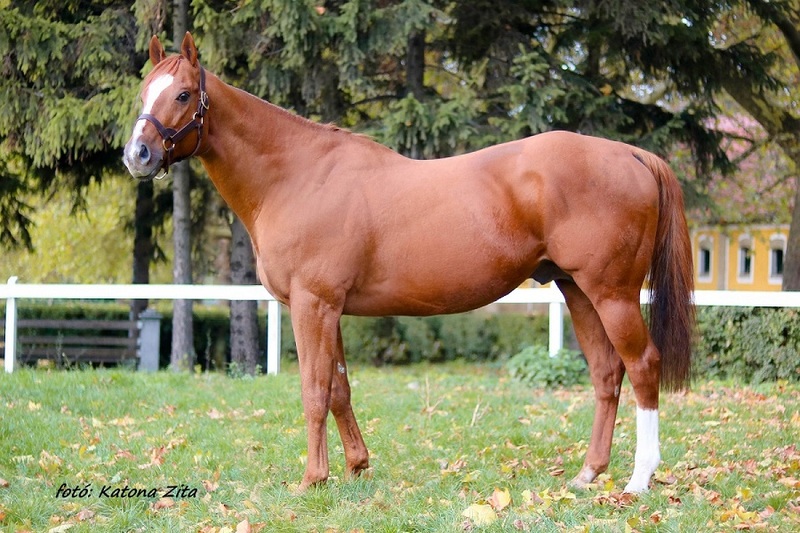 ), the son of two imported Hungarian Derby winners, Róbert Endre and Lubica, won the Derby for the stud. In 1954 Lóránt Ludván, a young talented agricultural engineer became the head of the stud, who, after graduating from the University of Gödöllő, gained his knowledge at the Animal Research Institute and worked at the stud farm in Gyöngyös. 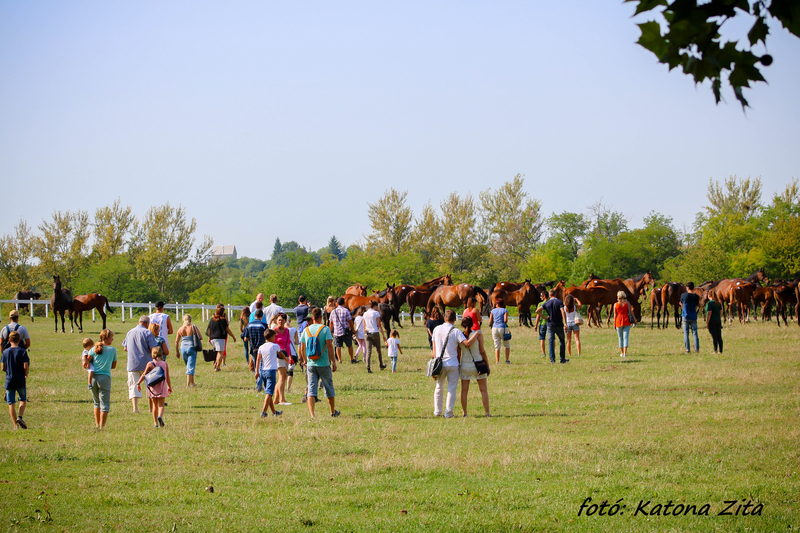 The former Esterházy stud in Tataremeteség was annexed to Dióspuszta, and Miklós Bartha from Kerteskő became the head stockbreeder of the stud, who previously had international success in sport horse breeding as the owner of Rádiháza. 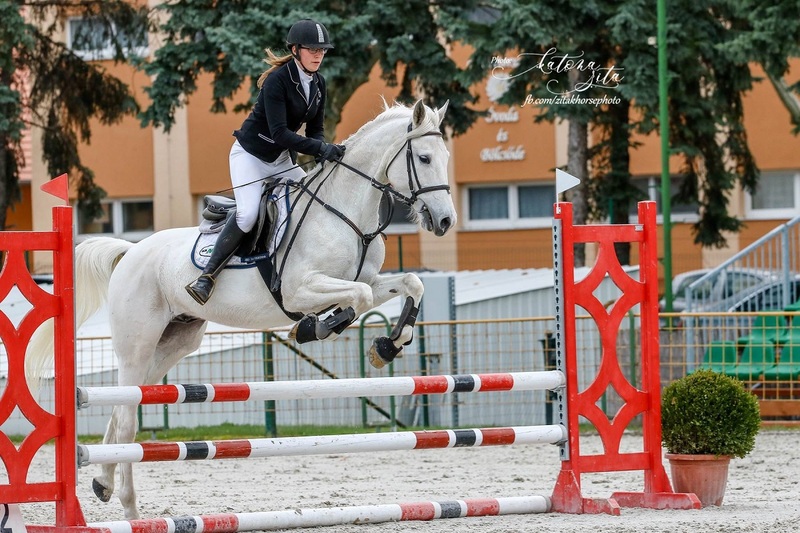 They achieved excellent results in insemination together with the veterinarian Dr. László Bartha. György Varga studmaster was an important support for the professional operation of the stud, who was already in charge at the time of Béla Halász, and with his thorough knowledge and very cultured behavior directed the stud work. In 1955 Roppant (bay colt, born in 1952., Róbert Endre – Pansy) won the Derby. The outstanding racehorse and stallion Imi (bay colt, sire: Intermezzo II, dam: Minci) was born in 1953 in Dióspuszta, and won the Derby in 1956. His real ability cannot be estimated since he only got a single defeat with one head from Roppant, who had a smaller talent. The award of the Hungarian Derby concerned the stud later on, in 1957 Almáriom (bay colt, born in 1954., Alpár – Mirandelle), in 1958 Mormota (dark bay colt, born in 1955., Mario – Movita), in 1959 Indok (bay colt, born in 1956., Intermezzo II – Dóra), in 1960 Hadnagy (bay colt, born in 1957., Hasan – Hajadon), and in 1961 Frappáns (bay colt, born in 1958., Falerno – Pazar II) won the Derby. From the 1st of January in 1962 the thoroughbred studs, Dióspuszta, Tataremeteség, Kisbér, Apátipuszta, Kisbér – Nyeszkenyepuszta, Kerteskő, Szépalma and Porva got under the authority of the Bábolna State Farm. Hecker Walter, the young stockbreeder of the stud was assigned to work in the crop production in the head office. Shortly thereafter Róbert Burgert removed Lóránt Ludván and Miklós Bartha from the stud. 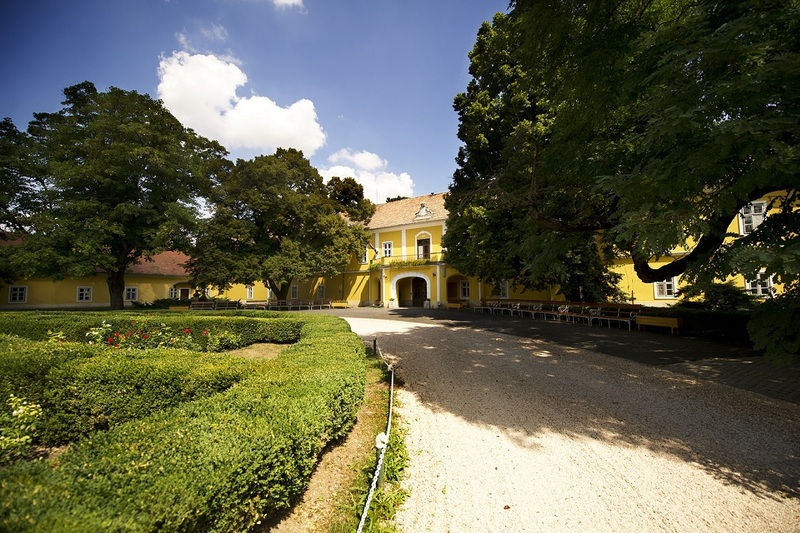 The stud in Tataremeteség was sold with the Esterházy hunting castle. Béla Lomniczi and then Tamás Roskoványi became the head of the stud. Nem igaz (dark bay colt, born in 1963., Nostradamus – Dublé) brought home and international glory to the stud. He won the Hungarian and Austrian Derby and the Bayerisches Zuchtrennen in 1966. 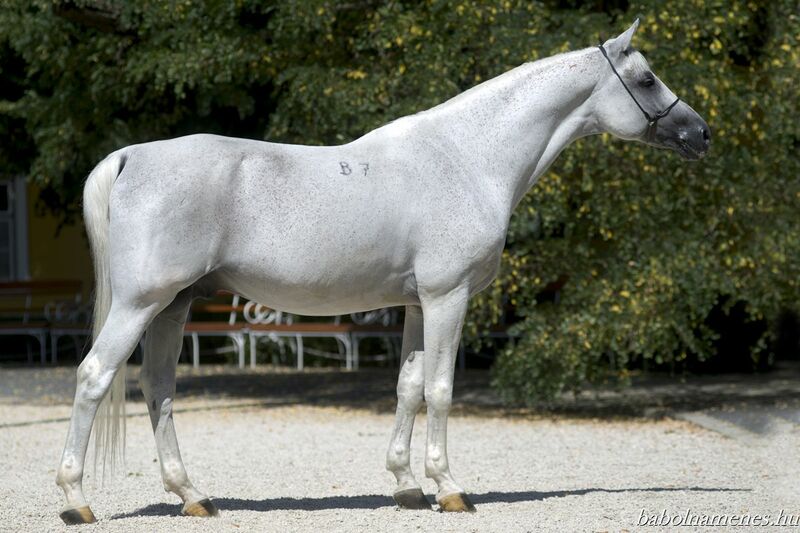 The last prominent successor in the history of the stud so far was Imperiál. 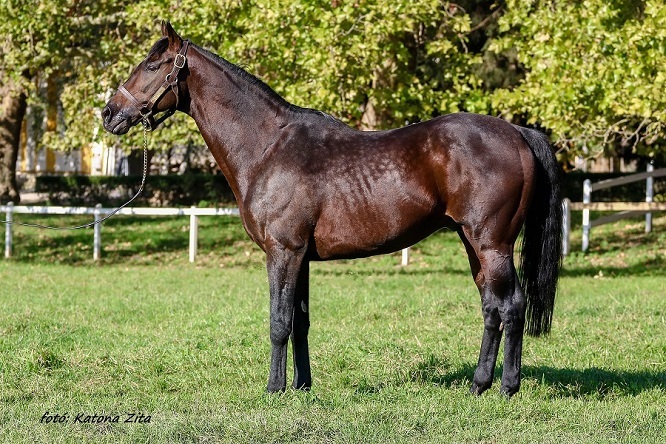 Isztopirin (bay colt, born in 1968., sire: Imperial, dam: Tabletta) has proven his outstanding ability as a two-year-old winning the Zukunfts-Rennen. This was later confirmed by winning the 1971 Hungarian Derby, then in Berlin – Hoppegarten the Prize for the President of the GDR Council. In 1968 the young and talented Zoltán Prutkay became the head of the stud. Immer (bay colt, born in 1969., sire: Imperiál, dam: Margaréta) proved his outstanding ability in the Hungarian Derby, Millennium Prize, Kincsem Prize, Hungarian St. Leger and Grand Prix of the Studs in 1972. In 1978 Dimitrij (bay colt, born in 1975., Imperiál – Dunyuska) won the Derby easily, and in 1982 Királyhágó (dark bay colt, born in 1979., Jolly Jet – Királyasszony) won for the stud. The last Derby-winner from Dióspuszta in the 20th century was Sir Khan (chestnut colt, born in 1991., Try Star – Star Horse) in 1994. 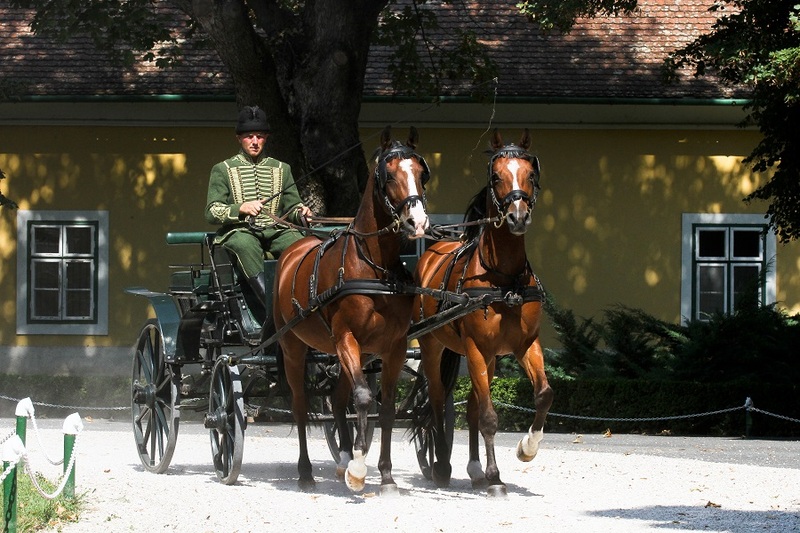 Since Dióspuszta is the last national stud of the Hungarian thoroughbred breeding, it has an important role in supporting the small breeders and defining the breeding directions. Regarding the stock, Dióspuszta is the largest domestic operator. 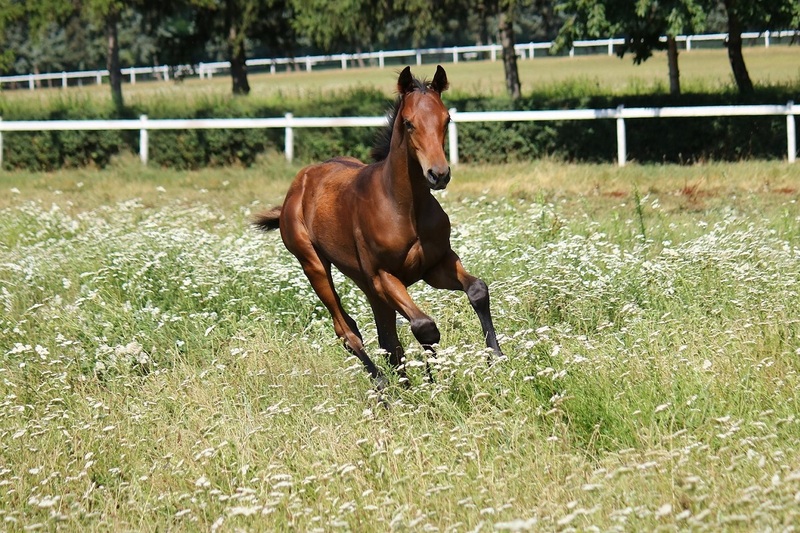 Our task is to breed and race thoroughbreds, and offer boarding for private mares. 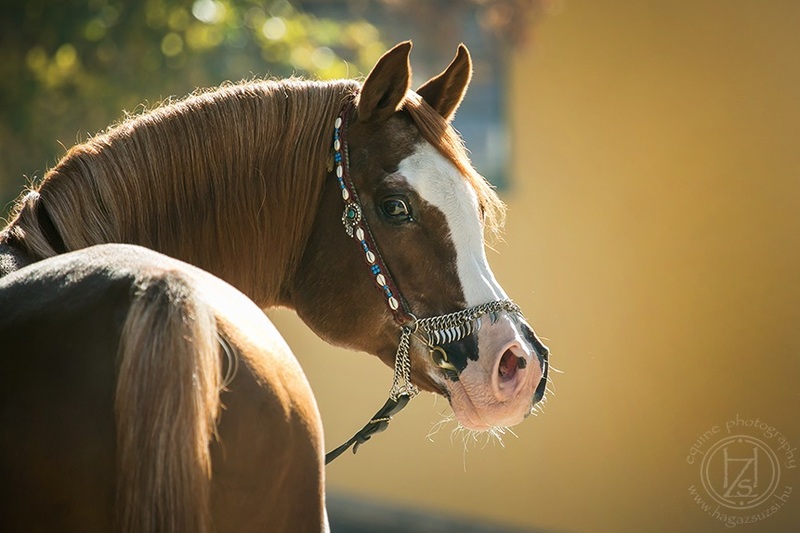 We have a 64-stall stable for broodmares, supplemented with a 4-stall quarantine stable, and a 36-stall stable for mares arriving for covering. The stable of the stallions has 8 boxes. We have 6 open stables for the foals and yearlings. 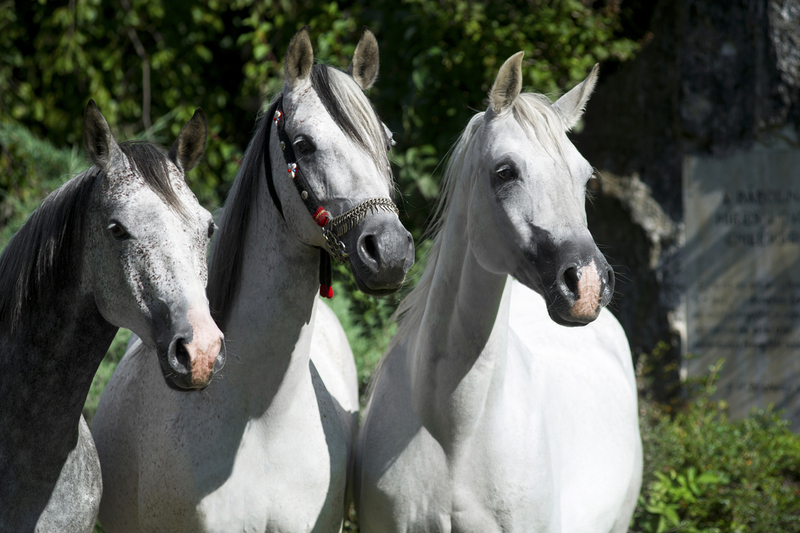 The stud breeds with 40-45 mares each year. 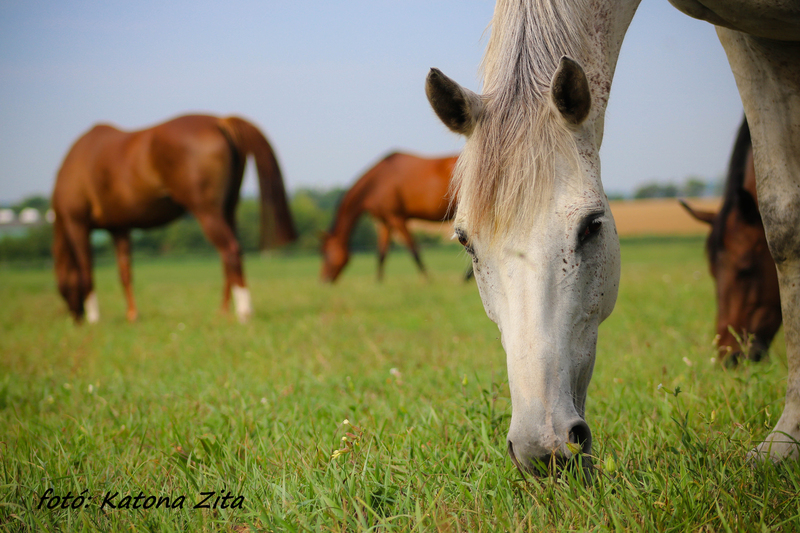 Currently 70% of the broodmares are imported, and have well-known pedigree. The number of the youngstock is usually 28-30. The horses are raised in our stud until they are yearlings, then they go to training to our trainers or after they are sold or leased. The number of our horses in training is 60-70. 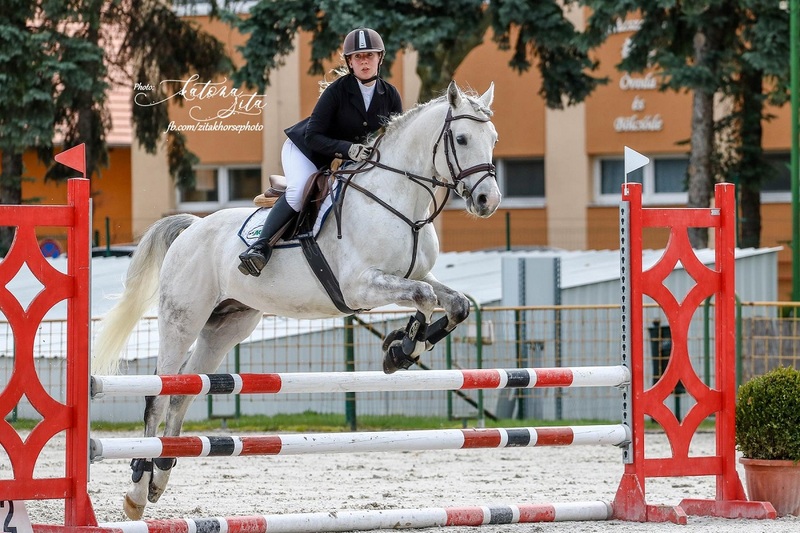 We primarily breed horses with excellent genetic background for the races in Budapest. 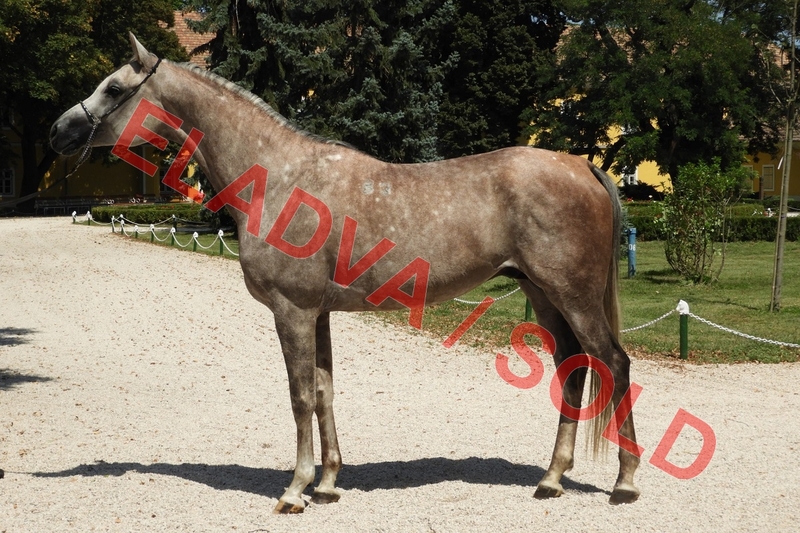 The success of our breeding in the recent years was proven by Megkapó, who was second in the Derby, won the Oaks, and became the most successful Hungarian bred horse in 2015. And in 2016 My Luck won the National Prize (2000 Guineas), the Grand Prix for Hungarian Bred Horses and the Hungarian St. Leger, and became the Horse of the Year. 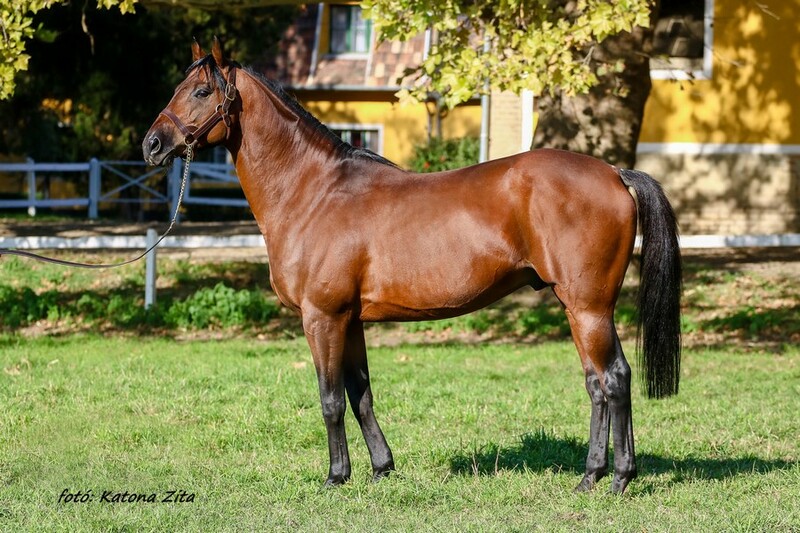 In 2018 Esti Fény won the Hungarian Derby, after 24 years of break we could greet a winner again from Dióspuszta. And he also won the Kincsem Prize and the Hungarian St. Leger, and won the title of the Horse of the Year.